MIDD Volleyball 2017-18: Alumnae Summer Encounters! 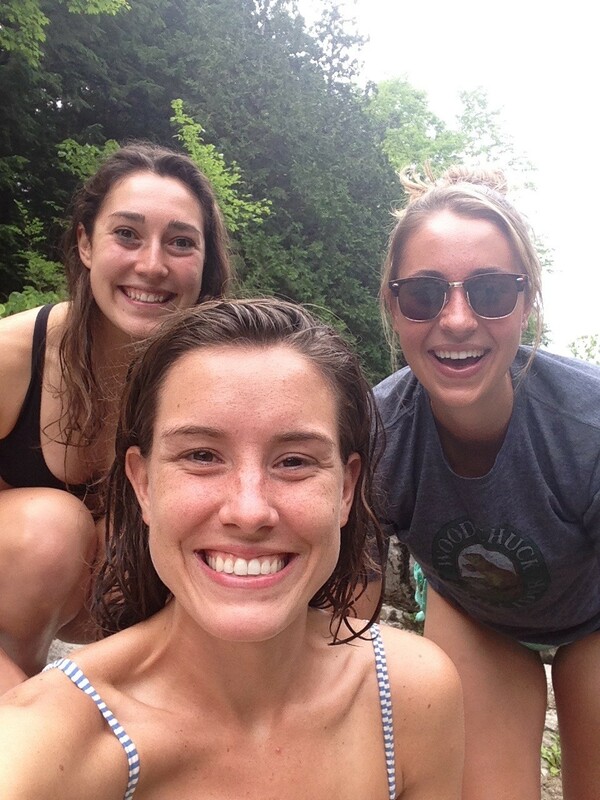 I got a couple of great pics from alums this summer who were sharing their fun reunions with former teammates! First of all, Caitlin ('13) came back to MIDD for a weekend of summer fun at the end of June and hiked Snake Mtn. with Lizzy ('15) and Kathryn ('16). You have to love the "selfie," or group selfie in this case? I, of course, still don't quite have the hang of it, and my now 15 year old daughter just laughs (ok, probably eye rolls) at me when I even attempt it, but it's so great to get these selfies because everyone's in the picture then! 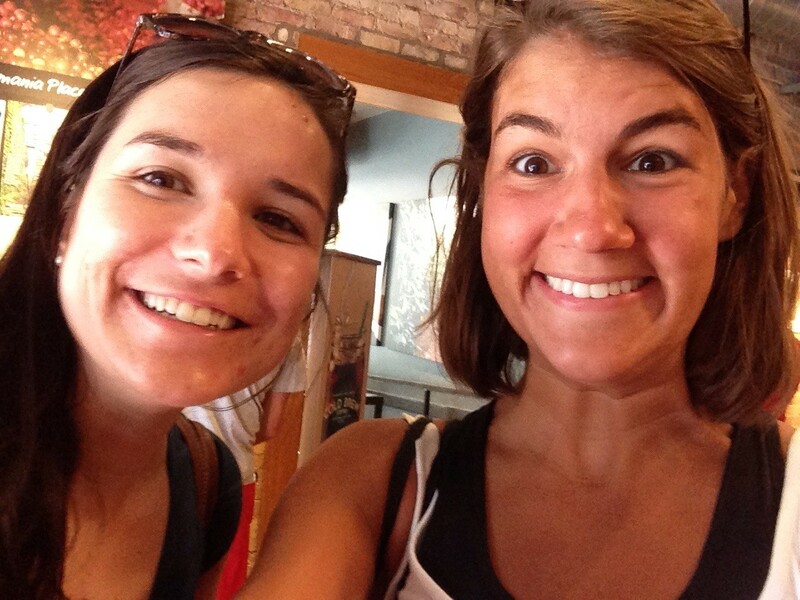 In July, Jane ('12) ran into Mallory ('10) in Chicago, I think out of the blue! Jane lives in Chicago, and Mallory was just visiting, and I didn't get all the details, but it sounded like they had a chance encounter. Small world, huh?! How exciting and fun to run into old friends! Thanks for sharing!